The topic of pyramid science is one of extreme depth—so much so that this time around, it required more than one article for an episode. That, and I did not want to keep my readers waiting any longer. On a personal note, I have been experiencing some extreme writer's block as well as some issues with low energy. This was in combination with a two-week period of non-stop, fast-paced world events all taking place in rapid succession. So being as mentally stuck as I was, combined with still possessing a strong desire to assist in the disclosure process, I found no other alternative than to give the story in whatever form that I could. It is my hope that after some good meditation and some hard-core nature walks, I will be ready for more heart-pumping, mind-blasting articles for many to benefit from. This method seems to be working so far. So, let's see what comes of it—on with the karmic influences of pyramid energy. There is much more to learn in the fourth density as compared to the third. This is why the fourth density is said to require more space. As a soul progresses through fourth density, they acquire more depth of knowledge and learn to concentrate the light they have chosen. It is this collection and concentration of light which pyramids allow a soul to initiate. The construction of pyramids allows us as individuals to accumulate the much-needed light for not just our health, but for our spiritual awakening as well. As the photonic energy builds within our body, we are gradually upgraded to new levels of consciousness. In past episode of the Wisdom Teachings series, David Wilcock has discussed the numerous ways in which pyramids assist with health, healing, and maintenance of bodily vitality in an individual. In my previous article, I discussed how a collective pyramid machine can help a planet to heal and maintain health. These planetary pyramid machines can also assist a planet in maximizing the number of people who graduate at the end of each cycle of time (25,000 years). Along with the physical and conscious benefits of pyramid technology, there are some unexpected effects that can result from exposure to pyramids. This is the acceleration of learning for any individual soul. Let's examine. The notion that pyramids can actually compress and resolve karma at accelerated rates was of particular interest to me, as I was unaware that this karmic concentration was possible. Aside from the numerous health benefits an individual can enjoy from exposure to pyramid energy, this concept suggests much more. In fact, according to David Wilcock, this compression of karma by pyramid energy can serve as both a blessings and a challenge. 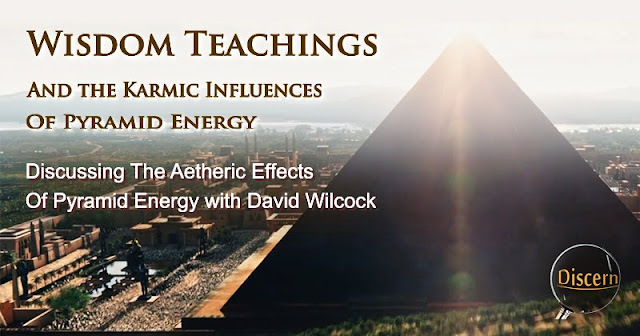 In the Wisdom Teachings episode listed above, Wilcock mentioned the somewhat difficult results which can come from over-exposure to pyramid energy. According to the Law of One, a person can experience an acceleration of karmic balancing in the form of unpleasant circumstances in their personal life. These occurrences are in excess to any other un-pleasantries we might otherwise experience. For example, instead of getting a parking ticket, we might get into a fender-bender with another vehicle. Instead of catching a cold, we might contract pneumonia. There are a number of these karmic balancing situations that can be much more difficult than the typical experiences we have. However, the positive side to this is that once that the unpleasant experience is over, our karma from that previous situation is completely resolved. Upon hearing this principle of accelerated karma, I was somewhat confused, as many of the karmic consequences which Wilcock described did not seem to have occurred in my life after building pyramids. I have been living inside of an apartment which is drenched in pyramidal energy. Yet these normalized occurrences of misfortune were not quite my own experience. Eventually, I began to wonder whether or not my pyramids were working properly. Then my mind began to go through all of the painful and torturous experiences I've had due to abduction and the resulting health issue. Through my life, my body has been through difficulties that had no place in the life of anyone as old as I was during these ordeals. They went far beyond anything that actually made sense. (There were even multiple occurrences which caused me to doubt that my life's course was in line with my pre-incarnated soul agreements. This was similar to the Mandela Effect, but to a much greater degree. However, this is another matter.) Then it dawned on me. My karmic backlash and my health issues were likely one and the same. My life has been everything but preferable. Apparently, I agreed to some pretty horrific experiences before this life began. 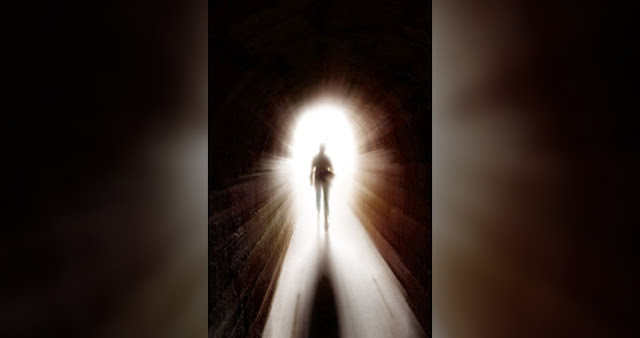 As I understand it, a soul has the option of doing this while nearing the end of an experience in 3rd density so as to be more able to enter into higher densities with a clean slate. It would seem that I myself had quite a bit of karma to resolve during this lifetime. As I understand it, karma is not necessarily a force that has control over our lives. In other words, karma does not exist unless we ourselves believe that it does. An individual can either choose to experience it in a negative sense, or they can simply choose to acknowledge their actions and forgive themselves and anyone else involved, thereby erasing karma altogether. For myself, this lesson was only learned a number of years ago. If I had learned it sooner, my life may have been much more enjoyable earlier on. However, I don't consider it any loss. Instead, I consider it as one aspect of a colorful life experience. As I would realize, my own karma was actually manifesting in the form of migraine headaches. If ever I have an unloving thought, an idea formed in anger or vengeance, I can be sure that a headache is not far behind. If I catch these thoughts quickly and make the effort to change my thoughts and energy in the moment, the headache leaves immediately. I can also choose to persist and indulge the negative thought, but in so doing, I am cruising for a full-blown migraine. These migraines have has served as karmic balancing. However they have not been the result of pyramid treatment one. These headaches actually kick-started my awakening process, as they would consistently accompany any aspect of life that turned out to be harmful to my growth (This would mostly include submission to the ideas of organized religion.) After seeing this consistent correlation between negativity and these headaches, I realized that they were a blessing in disguise. As it would turn out, the migraines may have also serve as a less destructive means of quickly balancing my karma. The headaches were just one aspect of possible karmic balancing. It may also be that most of my karma was resolved during the time I was subjected to the abductions, the attacks of multiple types, and the extensive ordeals that I have endured in life. In fact, it may be that karma has gone a bit overboard. Whatever the role of my past sufferings in life, it has contributed in major ways to my evolution in consciousness. My experience with pyramids has also coincided with this acceleration in growth and development. I have been able to see the negative attachments which were holding me down, and to recognize the ways in which these attachments were hindering my growth. I have been able to heal soul-level issues, learn abstract concepts about myself and about the universe. (Some of these concepts don't seem to have a name, or commonly understood nature to them. They have simply made themselves known.) I was even able to learn what was causing the abductions I was enduring and was able to put a stop to them—first on a physical level, and then on the aetheric level as well. The experience even got to the point when I began to receive positive visits as opposed to the weekly negative (and sometimes nightly) ones. My nighttime experiences went from dreading going to sleep to peacefully enjoying actual freedom as I slept. Instead of falling asleep to hands on the side of my doorposts bathed in eerie blue light, I was able to actually fall asleep like a normal person without having to wonder what would happen after I closed my eyes. After ridding myself from the abduction ordeal, I began to have more positive experiences. There would be times when I would see positive beings stopping by at night to see me sleeping under my pyramid. I would also wake up to see several beings performing healing on me as I slept. (As I understand it, we as Earth humans can make a request to the benevolent ETs in order to receive assistance when we ask though to be honest, besides being specific with the request, I cannot say for certain this will work with absolutely everyone.) These would not be visible in waking states of consciousness. However, between sleep and wake, these beings were quite distinguishable. It seems that there are groups out there who are interested in seeing humankind evolve. On top of this, these beings seem to take interest in those using pyramid technology. This may be because they realize the impact pyramids can have in accelerating our evolution and growth. If pyramids help us evolve, this would mean that the benevolent beings would be attentive to those who use them. It may mean that at some point, they may like to have a conversation. When discussion the use pyramids, self improvement, and of evolutionary advancement, it can be easy to become obsessed. This obsession can either be focused upon judging and condemning one's self as hopeless, or perceiving the self as flawless among a sea of imperfection. Neither of these is true, or rather, in a way both of these are true. The concept that many of us have heard is that all of us, everything in existence is already perfect. We as individuals, though we are flawed and unfinished in many ways, each one of us is perfect within our own imperfection. The Law of One describes this concept best in the following passage. This quote is pretty deep, but let's attempt to decipher it. If I am correct, the Ra beings are stating that that there is no imperfection or disharmony, and that to learn and understand how to heal any ailment, all we need to do is to learn what it is that causes us to see anything as disharmonious, distorted, or imperfect. From what I can see, the understanding requires intensive internal work and introspection. Those who are able to do this work may learn the secret of how to perform what others perceive as miracles. However, the resulting abilities of these developments may only be miraculous to those who have not understood the work required. David Wilcock makes the point that the means by which an individual ascends is partially related to the acceptance of imperfection as perfect. When we as individuals realize that the imperfection is an aspect of the 3rd density itself, we can then move forward. As we accept that all is perfect even though it does not appear that way, this is an incredibly significant discovery. As Wilcock states, the 3rd density is designed to be imperfect, and it is only when we realize this, understand it and internalize it that we meet this requirement for graduation. There were a number of health benefits discovered by the science team of Dr. Yuri Bogdanov and the Russian TTR company. These scientists were still receiving payment under communist government even though the Iron Certain had fallen. Being scientists they wanted to use their funds for research, and this is where the Russian pyramid research originated. As discussed in the recent Wisdom Teachings episode, “Pyramids and Photon Vortexes,” these scientists found some remarkable results from their experiments with pyramids. Here are a few excerpts. (A few of these were covered in the previous article. However, since I skipped ahead, I thought to review them for the sake of consistency with the corresponding episode. Studies of changes of properties of matter were conducted there as well. It was revealed that the half-life of carbon was altered; the structure of salt patterns changed; the strength properties of concrete varied; the optical behavior of crystals under consideration changed. The studies of influence of the pyramid on animals showed the following: the physical endurance of rabbits and white rats was twice increased; the leukocytic composition of blood was altered. In Blizhnii Bereznik, a town that is situated in the Arkhangelsk region of Russia, a complex of pyramids was constructed by the order of the domestic administration. These helped clear water in a blow well from raised levels of strontium and heavy metals. This was successfully carried out. In Krasnogorskoe town situated near Moscow a pyramid for reducing elevated salinity of water was constructed as well. As we may recall from previous episodes, the half-life of carbon was altered—proving possible something that is not supposed to be possible in modern science. In the previous article, the health benefits the rabbits and mice were well noted. These animals developed more endurance and increase immunity to disease. It was also found that pyramid energy made crystals more consistent and even more lustrous in appearance. To add, the pyramid energy was even able to get rid of radioactive particles in a well in Arkengelsk, Russia--a region directly adjacent to Chernobyl, Ukraine. This is a highly radioactive area even though the accident at Chernobyl happened years ago. As Wilcock stated, the pyramid energy was placed above this well, and in a matter of time, the radioactive particle actually settled out of the well entirely, making the water drinkable. This was likely due to the ability of pyramid energy to get rid of impurities in minerals. As with the granite scattered on the floor of the pyramid, the energy was somehow able to cause the impurities in the granite to gradually settle out. Over time, this created a brighter appearance in the granite rocks. In the same way, the radioactive particles in this well near Chernobyl may have settle out similar to the way the impurities settled out of the quartz crystal in the granite. If this is true, these findings could have earthshaking results in modern day society. Yet this technology is deliberately denied from being released or used by the establishment to benefit the public. This study of pyramid technology is one of extensive depth and massive impact. Pyramid technology could quite literally transform our planet into a paradise of increase health, vitality, and sustained prosperity if only we would use it properly. It may very well be that these pyramids did that very thing when they were first built near the beginning of the current age. David Wilcock stated that the Atlanteans were in a race against time to attempt to stabilize the Earth and by building the pyramids we now see today, they hoped to prevent a pole shift. According to the Law of One, the Earth's axis may have actually shifted which was what destroyed the civilizations of that time. Today, we near the end of our current age and are presently entering into a new one. We may keep in mind that it wasn't the pyramids alone that held the power to prevent a catastrophe; it was the people of the world at that time. Linda Moulton Howe on the Alaskan Pyramid Underground Base !! These people held the potential within themselves to choose to serve others, to be more positive and to shift in a positive way into the new age. According to the Law of One, they did not make this positive choice in time. We, however, hold the power to accomplish what they could not. Presently, this world holds enough people who are awake and aware to make a conscious change for the positive, and the numbers are only growing. We only have to make the choice to use our creative potential for positive ends so as to create the greatest possible outcome for the planet. As our current age draws to a close, we see a number of events unfolding. Many of these events appear dire, but in all of it, the entire truth is being forced to the surface. The time is hectic. The pace is fast, but the benefit afterward will be beyond words. Let's keep our eyes, our minds, and our hearts open.